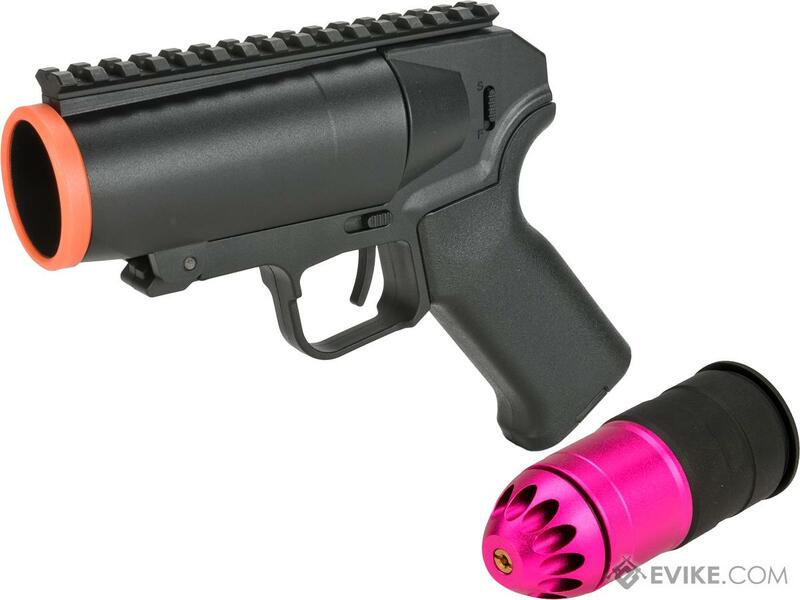 This package contains the 6mmProShop Pocket Cannon with the Matrix Mosquito 40mm gas grenade shell! 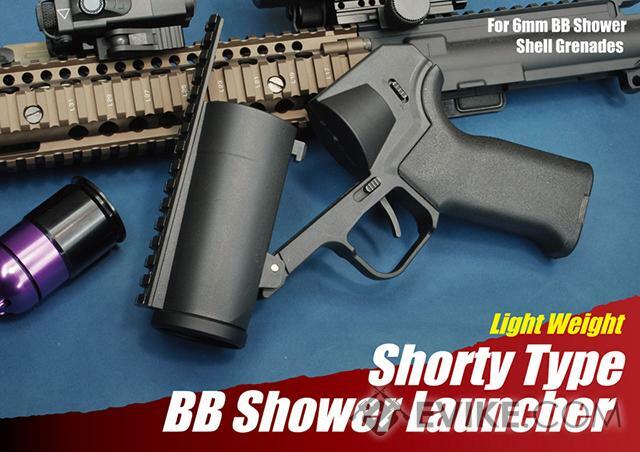 The 6mmProShop Airsoft Pocket Cannon is compact for easy transportation, lightweight, robust construction, and compatible with all standard 40mm Airsoft M203 gas grenades shells capable of launching BB shower (shower shell included! 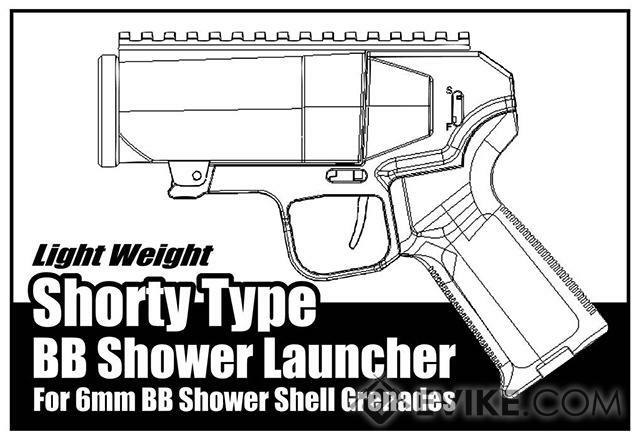 ), foam projectiles, and other interesting shells made for the standard Airsoft 40mm gas grenade launcher system. 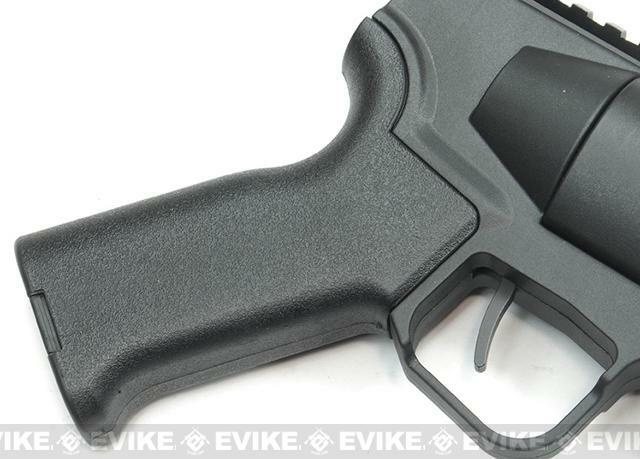 Externally, the Pocket Cannon is equipped with the advanced ergonomic Matrix tactical training motor grip that fits most Airsoft M4 AEG platform, and thus, the Pocket cannon can take on a huge selection of grips if you want to give it a different look! 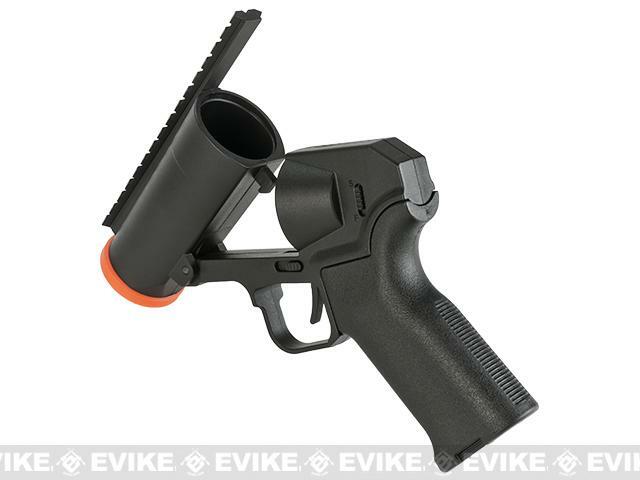 The Pocket cannon is equipped with an on-frame safety, a railed frame for scopes and optics, and a thumb activated switch for the spring latched outer barrel enabling high speed shell loading and reloading. 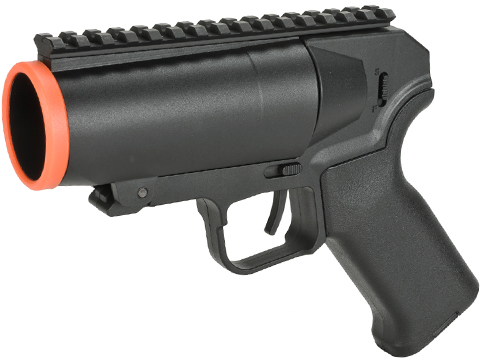 It is a great backup weapon with the highest potential of fire-power vs. time vs. load weather you are in a CQB environment or as a sniper! War stories are created each time you pocket cannon a friendly or a foe! Let your legend be told! 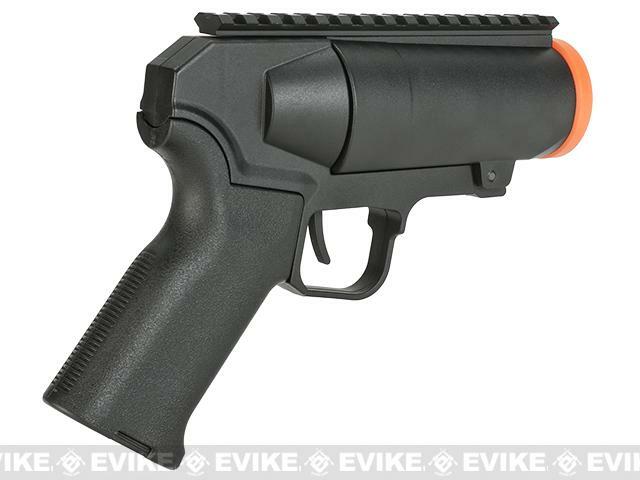 Discuss about 6mmProShop Airsoft Pocket Cannon Grenade Launcher Pistol (Package: Launcher + Matrix Mosquito No Reset Shell) with your friends and fellow Evike.com shoppers!